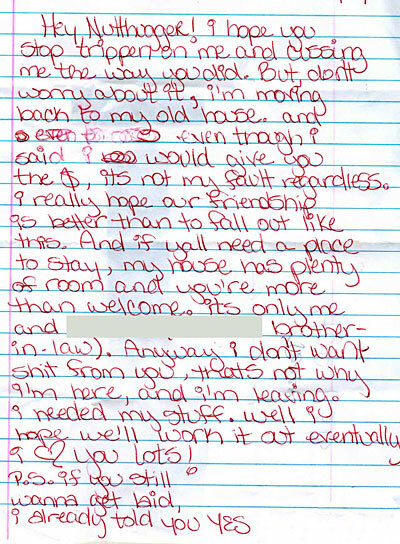 We found this letter in The Saint Bar and Lounge, probably left by one of the crackheads or hookers that live above it. The p.s. is really the kicker. Oh, that’s a healthy relationship…NOT. GREAT Bar! I was there in 2010 for my first Mardi Gras and shared my flask of whiskey with a Pentecostal preacher.